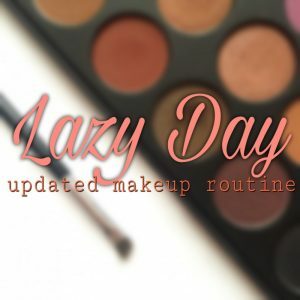 Lately, every day has become a “lazy day” for me. Since the beginning of this year, I’ve started getting into skincare more and letting my face breathe. 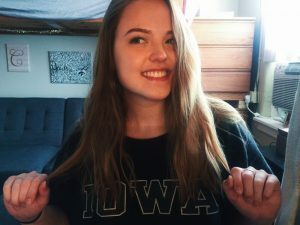 If someone would’ve told me this time last year that’d be going to classes and out in public with absolutely no makeup on, I think I would’ve laughed in their face. Back then, I had splotchy red skin and maybe at least five pimples at any given time, so of course, I’d feel compelled to cover my face with at least a little makeup every day. What I didn’t realize was that the act of actually cleaning my face every night, removing all my makeup, and just generally taking care of my skin, is all I really needed in order to feel comfortable without makeup. Nowadays, I don’t even wear foundation. It clogs my pores too much and it honestly feels kind of gross having it sit on my face. Don’t get me wrong, I’m still just as much in love with makeup as I’ve always been and will take any opportunity I can to cake it on. It’s just that now, I have a new appreciation for the skin on my face and I’ll do anything I can to keep it looking fresh and pimple free —even if that means giving up my everyday full-face makeup routine. Even though I have normal to oily skin, I think it’s super important to moisturize my face and protect it from the sun with at least a little SPF. 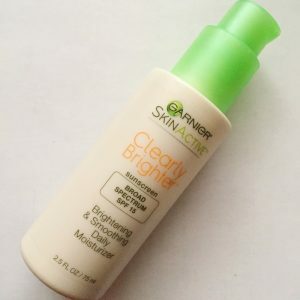 Garnier’s Skin Active Clearly Brighter Daily Moisturizer is lightweight and leaves my skin feeling soft all day. I apply it once in the morning and second time right before bed. Most foundations on the market have SPF in them so I never used to worry about applying sunscreen to protect my face from the sun. Now that I don’t wear foundation on a daily basis, this is a really great alternative and it also helps smooth my skin in the process. 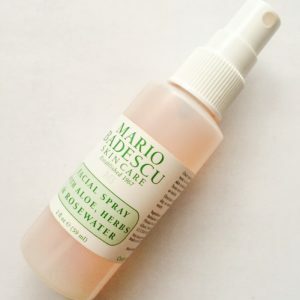 Next, I’ll mist my face with some of Mario Badescu’s Facial Spray in order to really lock in the moisture. This product smells amazing and is another product I put on twice a day. This brand has excellent skin care products and I’m looking forward to trying out their acne treatments in the future. I (miraculously) found my 4 oz bottle in the sale section of Ulta for $5, but the cheapest bottle I could find online was $7 at amazon. In total, these two products have made a huge difference in my skin’s overall appearance and definitely help me feel rejuvenated during the harsh, dry, winter months. I’m still not quite used to having morning classes all week and it always shows with my dark circles. 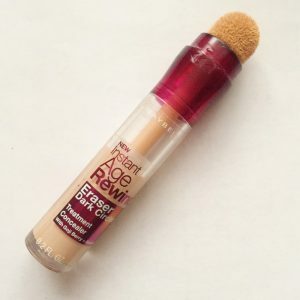 I use this concealer from Maybelline to hide the fact that I don’t get much sleep during the week and it does wonders. Concealer helps to make me feel and look so much more awake than I might actually be and will always be a staple in my makeup routine no matter how lazy or glam I’m feeling. I apply this underneath my eyes and on any other imperfections I may have. 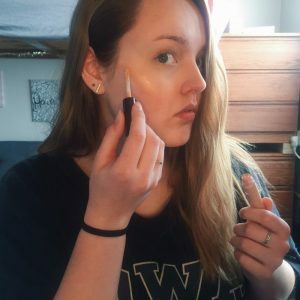 Highlighting is one of the biggest beauty trends of the moment, and even though it’s usually associated with “glam” makeup looks, I love pulling it off every day for that extra glow. 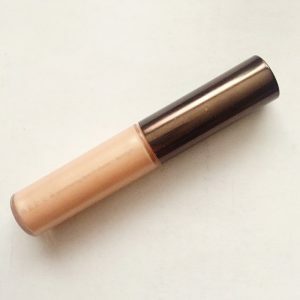 I love using creamy highlighters and this one from Becca Cosmetics is stunning. Mine is in the shade Opal and came in a little kit including a mini powder version too. This product costs $20 on Amazon right now, and I know that’s a little pricey, so I’ll often use my one from Colour Pop Cosmetics (which is only $8), to help conserve my use of the more expensive highlighter. 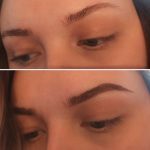 This step is essential for me on a daily basis because I believe a strong, but natural looking brow is the key to framing the face. I, unfortunately, was not blessed with dark, full natural eyebrows so I primarily use powder to mimic this. First I apply a clear brow gel to get the hairs in the shape I want. Then using a small, angled brush and a powder that’s a few shades darker than my hair color, I lightly stroke the product in sparse places to fill the gaps and slightly extend the end of my brow. This angled brush is from Anastasia Beverly Hills, but brands like Elf sell much more affordable ones that do the exact same thing. The powder I use to fill in my brow is actually from an eyeshadow palette from Morphie and it’s actually been a really great addition to my collection! They sell a wide variety of palettes that come with 35 high-quality eyeshadows AND they’re extremely affordable. 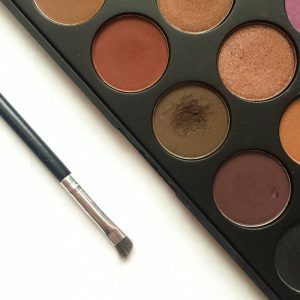 I have the 35W palette and love all the neutral and warm tones. 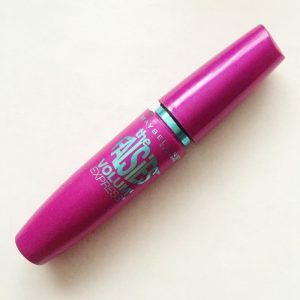 Next, I apply my Maybelline Falsies mascara in “very black” to my eyelashes help open up my eyes and make me feel even more awake. Some days I’ll actually skip this step because I’ve started getting used to my appearance without it, but honestly, by simply applying mascara my eyes feel less drowsy. This specific mascara makes my lashes so full and doesn’t clump up at all, which helps maintain the “natural” look I’m going for. 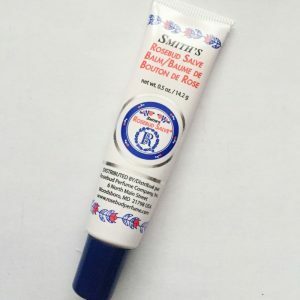 A lot of lip products out there actually don’t do much to hydrate your lips, and I’ve found that Smith’s Rosebud Salve’s products are the best. They also sell this product in a small, round tin can, but when this product is packaged in a tube, it is so much easier to apply. 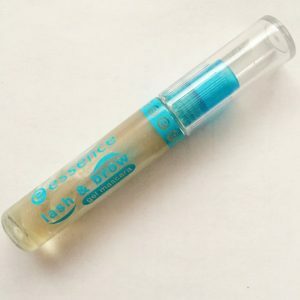 I love its flowery scent and it leaves my lips feeling hydrated all day. I apply it in the morning, throughout the day, and finally, before I go to bed so that my lips don’t get too dehydrated while I’m sleeping. As always, thanks for reading! 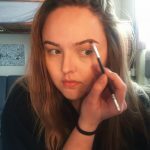 I hope you found this information useful 🙂 Also, keep checking out my personal blog and other various social media accounts to see more of my daily life on and off campus.